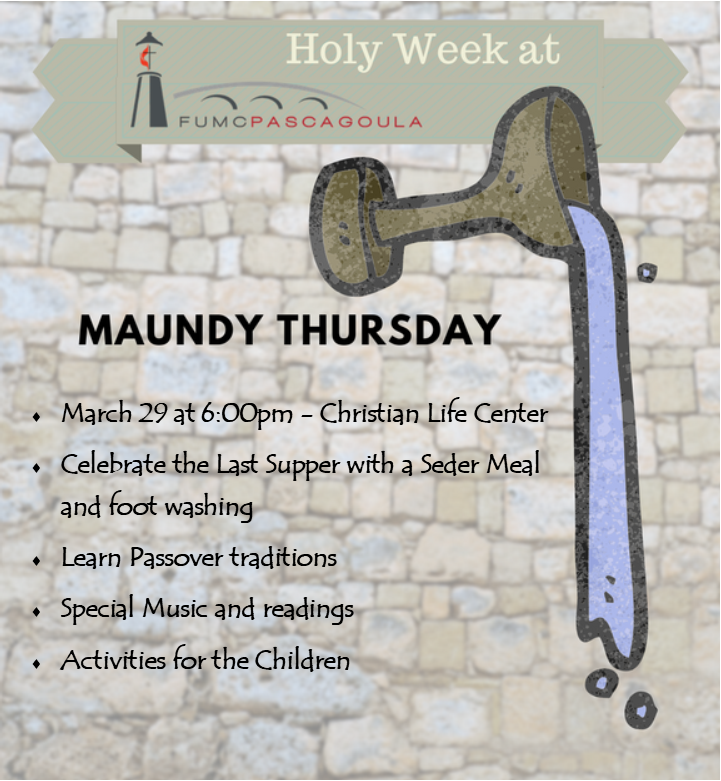 Maundy Thursday, March 29, we will have a Seder Meal and foot washing. 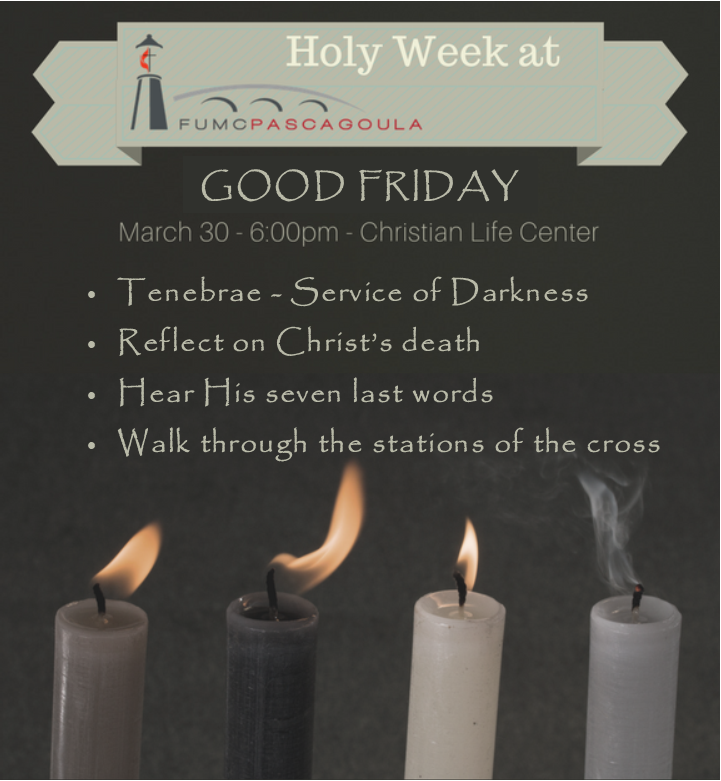 Good Friday, March 30, will feature a Tenebrae Service. 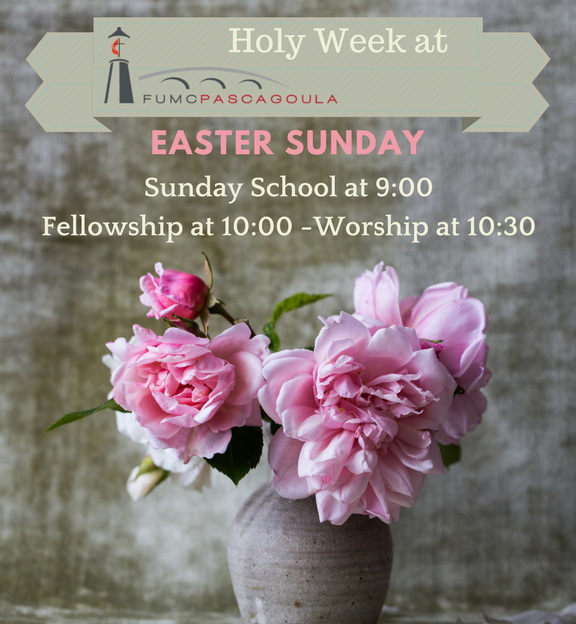 JOIN US as we worship Christ!